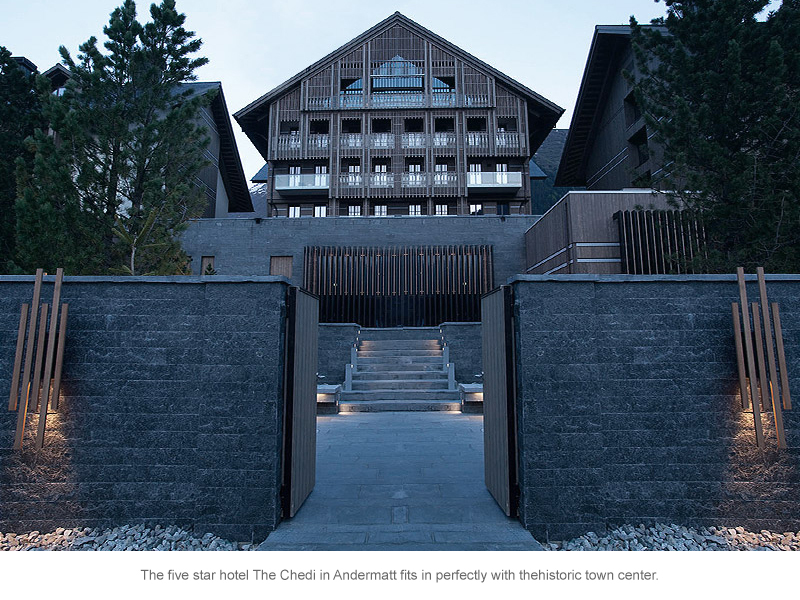 The adiabatic humidification in The Chedi 5 star hotel in Andermatt creates exactly the right climate that the guests want. 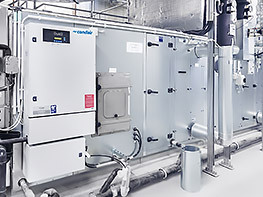 12 hybrid humidifiers were installed to meet operational requirements. The hotel owner has been well pleased with the excellent hygiene standards and the low operating costs. 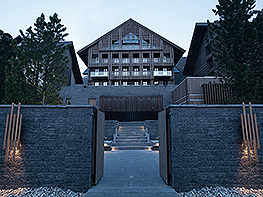 After its opening in late 2013, The Chedi in Switzerland was named as a 2014 “must go to” destination by the international press. Together with other projects, it aims to make the small town of Andermatt more attractive than St. Moritz. 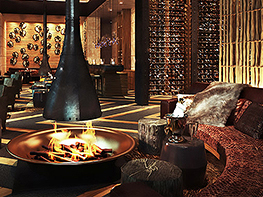 On top of that, the Chedi exemplifies sustainability in a luxurious way. The hotel’s sustainable and luxurious design is reflected in the architecture, building materials as well as its modern utilities. The large hotel is surrounded by ancient pine trees that remained untouched by the hotel’s construction. The building itself was built to fit in with the picturesque alpine town. Its four buildings are seamlessly built into the network of small, cobbled streets. A facade of native spruce pine lends these buildings – some with up to six floors – a dashing alpine flair. After walking through a modern entrance of glass and steel, one enters reception rooms almost six meters high. This sense of lavishness is enforced by the sheer spaciousness of these areas as the four buildings’ ground and first floors are all joined together. There are always room connections and spaces that can take one by surprise. The transition between interior and exterior has been designed with a great attention to detail. The combination of transparent and opaque material both accentuates and brings together the different climate areas of inside and outside. It is in this way that (for example) a large wood fireplace provides the transition between the somewhat colder exterior area and the cozy interior areas where guests can relax in and retire to. Another two wood fireplaces provide warmth in the cozy Aprés Ski Bar. There are 193 fireplaces in total. Every suite – approximately a third of the total number of rooms – has its own fireplace. Some are partially built-in fireplaces to create a stunning sight or feature. The gas fireplaces’ heat and flames don’t just contribute to the guests’ feel-good factor, but are also used to provide warmth. The hotel also uses wood chippings as a sustainable resource for local heating. The hotel’s doors are opened in certain times of the year with nice temperatures outside, for example in early summer. This causes a lot of air to come into the hotel’s interior from outside. The ventilation system’s precise settings can balance out these fluctuations. This also means the humidity can be continuously regulated. World cuisine is celebrated in half open kitchens – the most impressive has to be the Japanese room, minimalistic in design and one of the hotel’s little treasures. The wall opens inwards and is perforated with small, acutely designed openings. The guests walk up a slightly rising walkway to enter the room for ceremonial Japanese dining. A cigar room with a walk in humidor and the Cheese Tower, a glass tower used to mature cheese by mimicking the climate of a cave, are some of the stops on a journey through the different “culinary climate zones”. 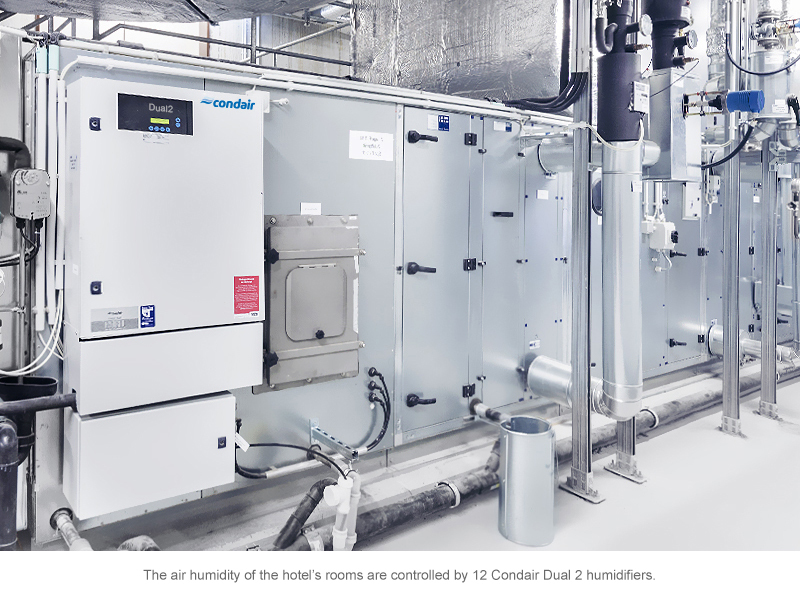 The air humidity of the hotel’s rooms are controlled by 12 Condair Dual 2 humidifiers. A humidifier was installed in the main restaurant’s ventilation system to provide 24,000 m³/h of air (see table for technical details). The temperature in winter can be -15°C (5 °F) with 90 % humidity. The air is warmed by up to 38 °C (100.4 °F) so that even after being cooled by the humidity, its percentage is still at a comfortable 45 % and the temperature is 21.5°C (77°F). Adiabatic humidification proves to be the most sustainable and energy efficient humidification method. High pressure humidifiers need much more energy for their pressure pumps – just as steam humidifiers need more energy to heat up the water they use. The Dual 2 installations save on water needed in the humidification process. Excess water lost through cleaning is minimal. The amount of water can be precisely controlled. Hygiene is always a huge concern wherever air is being saturated with water. Legionella, mold, yeasts or any other germs cannot be allowed to multiply. The Dual 2’s hygiene concept eliminates all of these effectively. The main element of this hygienic concept is silver ionization. Just as silver ions are used to sterilize drinking water, silver ions and a sterile filter are used to permanently prevent the reproduction of germs as well as the build-up of biofilms. Inorganic impurities are removed by a fine filter, water softener and osmosis filter. The water quality is automatically regulated. The internal water lines are regularly cleaned to prevent the build-up of germs (even during periods where humidification is not required). The hybrid humidifier humidifies the air with a combination of low pressure atomization and evaporation. The water droplets are completely evaporated on ceramic elements that are porous (like a sponge) and therefore have a very large surface area. This means the humidified air does not contain any aerosols and is essentially free of germs. 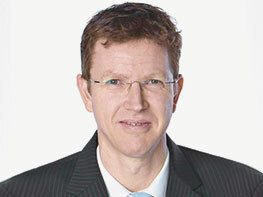 Operational hygiene has been confirmed and proven through lengthy tests performed by the independent Fresenius Institute. Hygiene standards are reassessed after one year’s operational use. All of the water lines are drained automatically once the system is turned off. As a result of the low pressure system, the humidification distance is very short and the installation is therefore very compact. 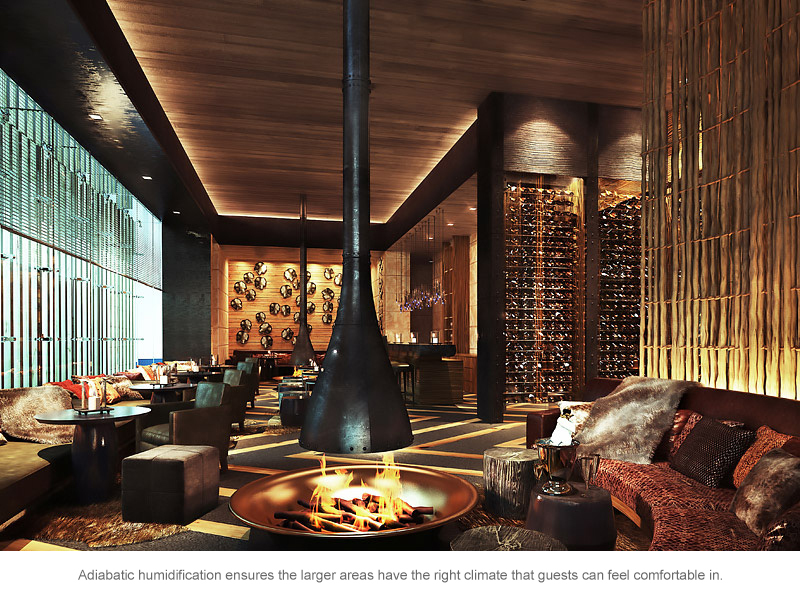 The materials used in the hotel’s interior match the sustainable humidification of the hotel. Natural materials that boost humidity are often used. Wood used for construction, for example wooden beams, remains untreated and therefore permeable. Wood used in flooring is oiled and alternates with natural stone. Belgian limestone with a bluegray tone creates a sense of ease and relaxation. The local granite is laminated in various ways. The refined lighting sparkles like stars in a clear night’s sky. Natural objects are even used as decoration, be it a magic looking tree root or tree discs. The Chedi is a modern luxury hotel paying many homages to nature.